Cyril Ramaphosa’s election as president sent a wave of optimism rippling through South Africa. Many are hungry for economic change after years of weak growth and high unemployment under his predecessor, Jacob Zuma. "As soon as Zuma stepped in, the stock markets have been going down, the economy has been going down and I feel like now it is time for South Africa to really go back to the way it has been", said local resident, Kenanu Fernades. Unemployment currently stands at around 27 percent and widespread poverty has been an issue since the end of white minority rule in 1994. "As we are youth of South Africa, we have been struggling too much, some are happy with Zuma, but those who are poor are not happy with him, with things which he did." Since Ramaphosa took over the leadership of the ruling ANC Party in December, financial markets have rallied, as investors welcomed his promises to reorganise South Africa’s state-owned businesses and attract overseas investment. "I am very sure that investors and the markets are actually worried about the short-term to medium-term politics in South Africa. 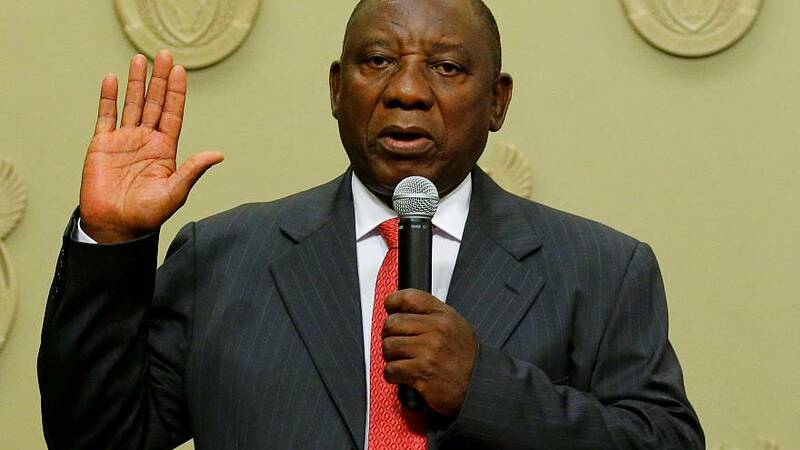 So it is important for Ramaphosa to assume power, and immediately when assuming power, to make sure that he has a definitive policy agenda," political analyst, Gideon Chitanga noted. His first major challenge will be the budget, which is due next Wednesday (February 21) and is seen as crucial to boosting the economy and helping stabilise the country’s finances.